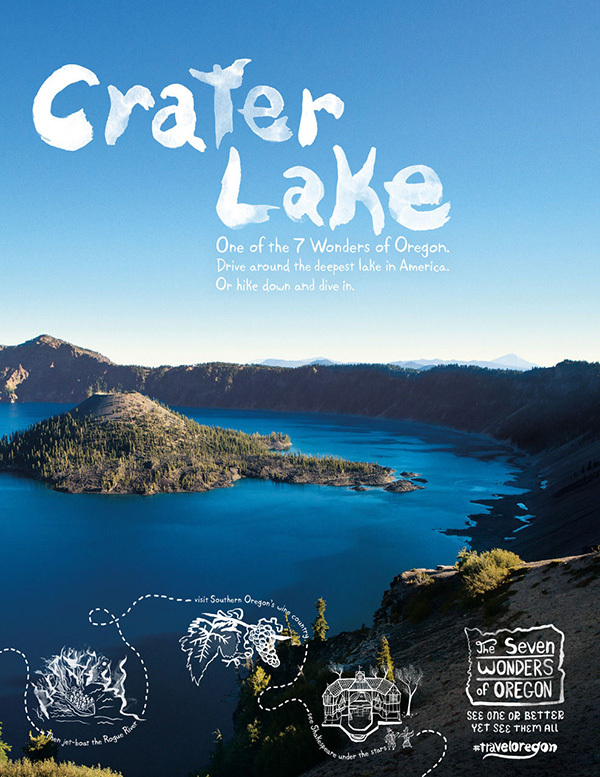 The Seven Wonders of Oregon. I’m over the “I can’t draw” sketchbook look, and the “Badly painted” hand lettering look. It reached a fever pitch of a year ago and its starting to feel a bit dated. I know this is a personal opinion, but it’s like the stop motion craze with vintage effects look, for me it’s jumped the shark. 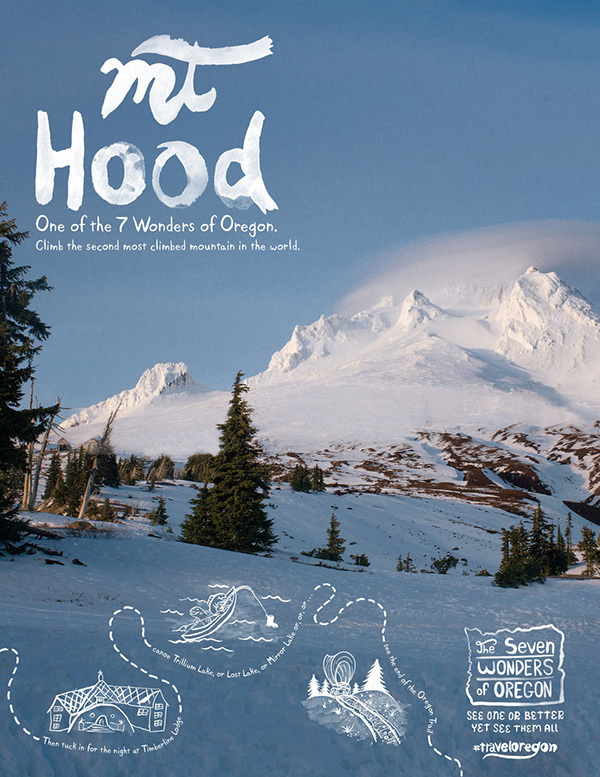 One exception that I have to the sketchbook / painted hand lettering look for me though is the “Seven wonders of Oregon” campaign. I like it because it doesn’t feel like every other travel / tourism campaign that starts to roll as winter melts away and gives into spring and summer. 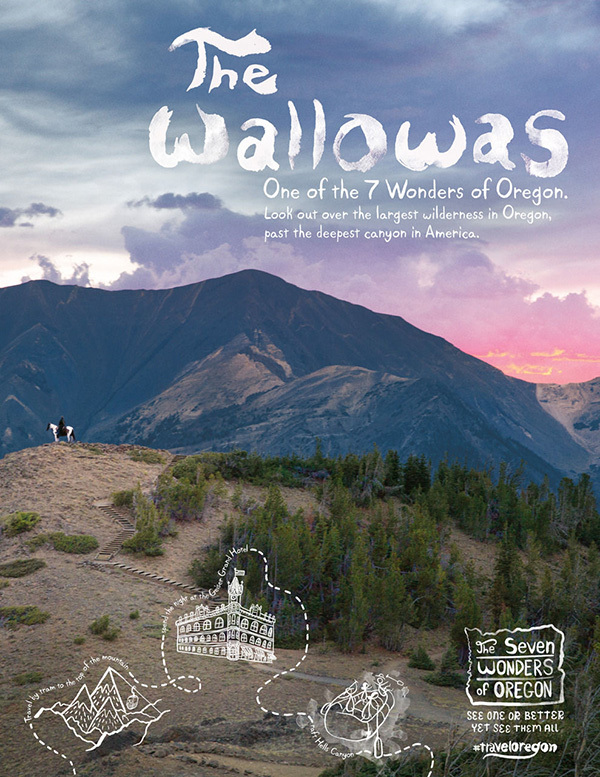 Travel Oregon made it’s largest marketing investment ever with this campaign at a cost of $3 million dollars. 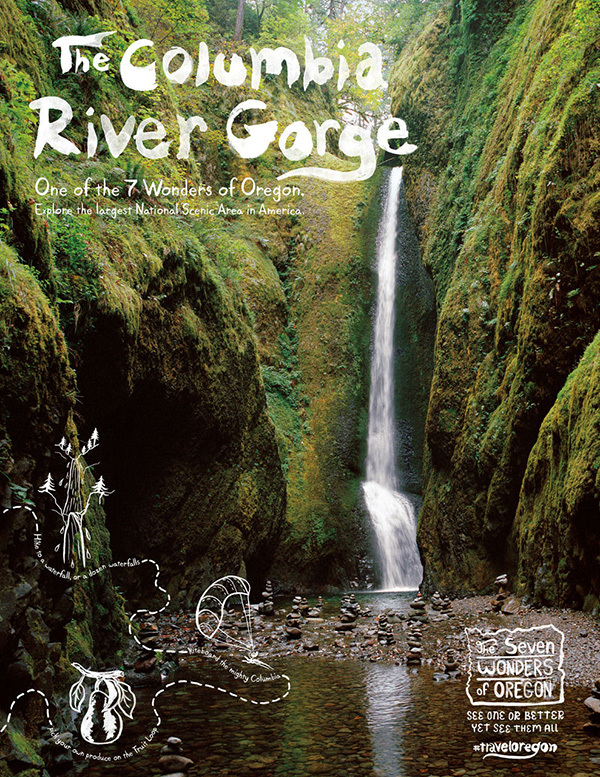 The integrated campaign uses a combination of TV, Social Media, Print, and Direct Mail, developed by Portland’s own Wieden + Kennedy, Substance and Sparkloft Media. Th e basis of the campaign is pretty clever and straight forward. 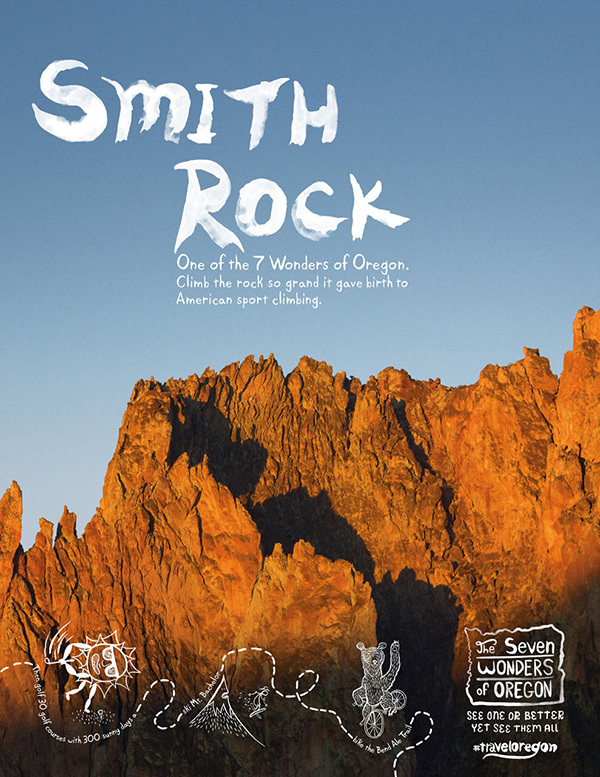 It argues that whoever created the original list of the seven wonders of the world, never set foot in Oregon. 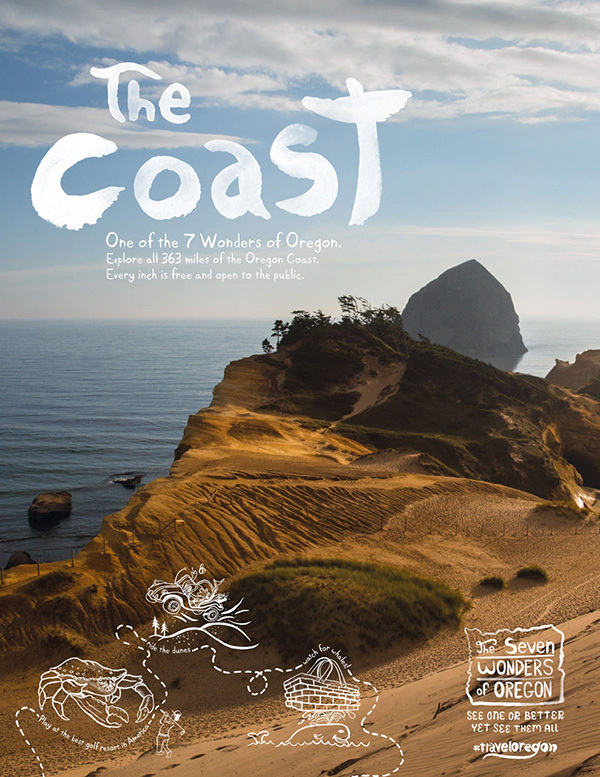 So,Travel Oregon named it’s own seven wonders for the state: the Oregon Coast, Mt. 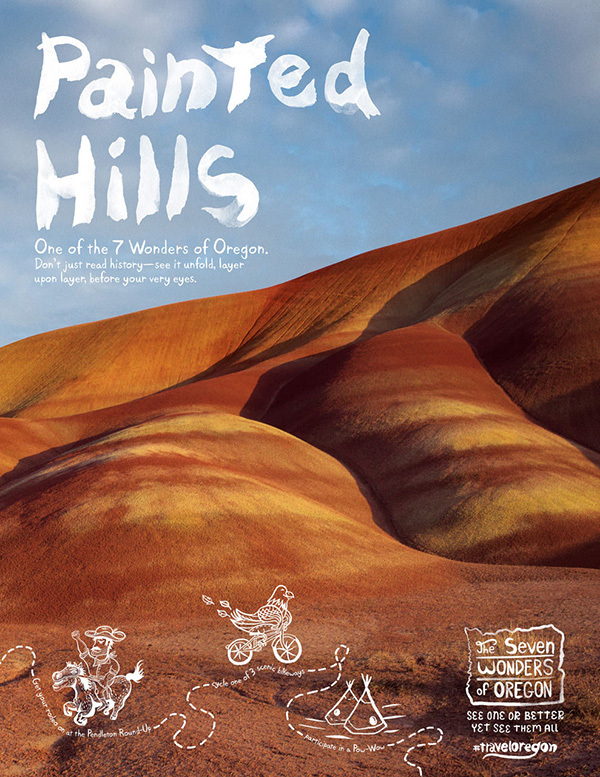 Hood, the Columbia River Gorge, Crater Lake, the Painted Hills, the Wallowas and Smith Rock. Placed over the images are a series of stamps or logos which use the amateurish hand drawn look to effect. 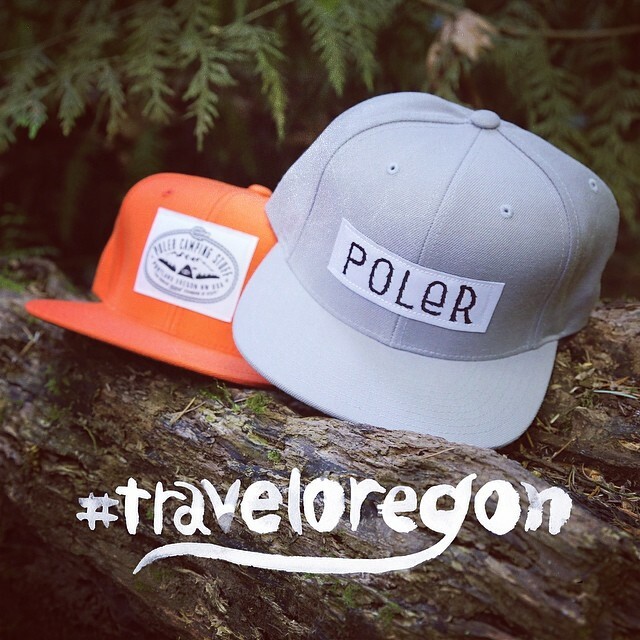 The logos are used through out all elements of the campaign and render an entirely different feel than typical travel, or luggage stickers used in many tourism campaigns. 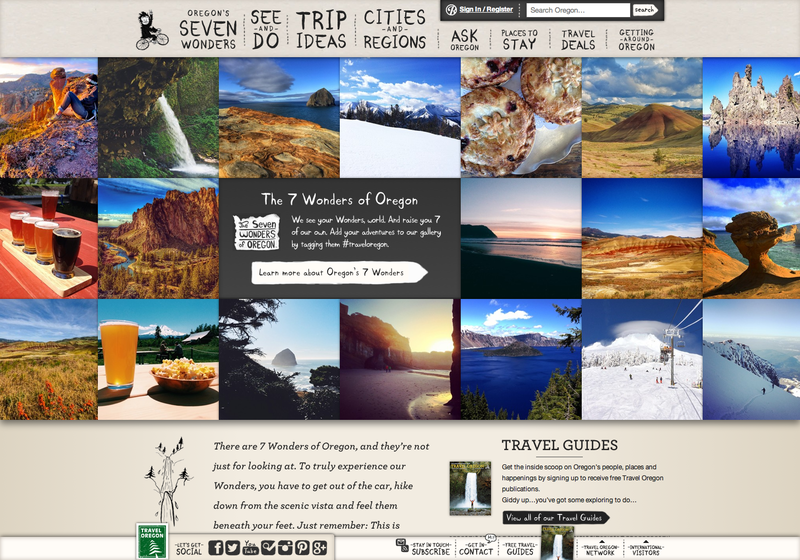 The illustrative style is used across all aspects of the campaign from video to web to social media creating a cohesive voice and brand for Travel Oregon. Hopefully it will have staying power for a few years. 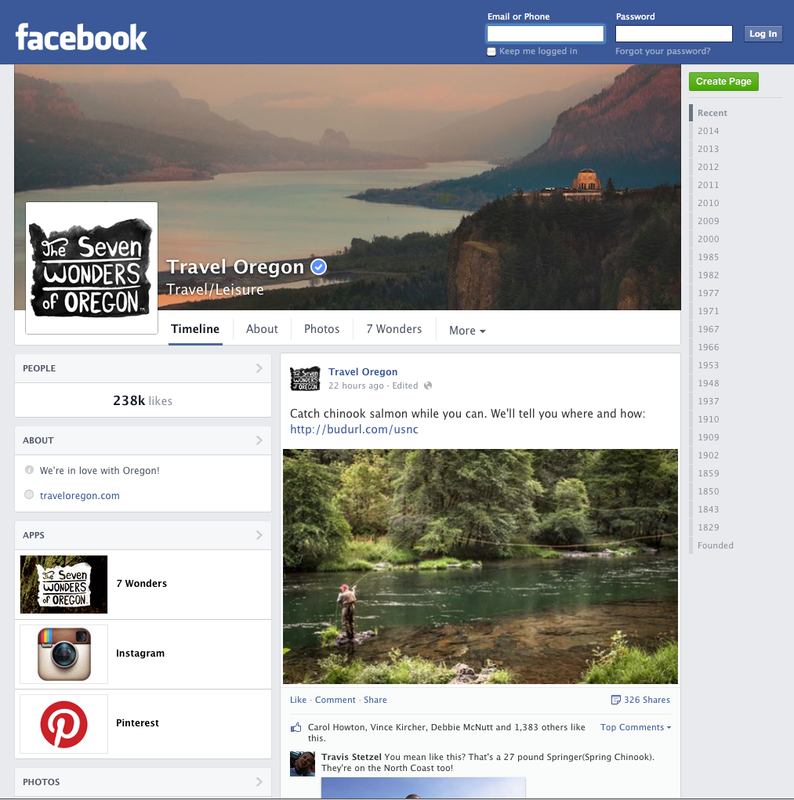 Posted in Advertising, Design and Art and tagged Advertising, Integrated marketing, Omni Channel Advertising, Oregon's Seven Wonders, Social Media, Sparkloft Media, Substance, Tourism, travel, Travel Oregon, Wieden & Kennedy on June 18, 2014 by Author. ← Modern Love, and the New York Times.